One very important thing that should be taken into consideration when scouting is the area where you will place the game camera. This is very crucial as a good spot is one of the keys for you successfully capture the wildlife hanging around in the area. Even the best trail camera in the world will not do you any good if you place it in a spot where animals tend to stay away from. The difference between finding no pictures, and discovering a good spot is a skill that you will be able to master as you gain more experience in scouting. Trial and error will also be useful. For example, when you see some tracks in the area of your camera but do not see any photos, you may need to adjust the placement of the camera. When you hang your camera, you may also want to try to mask your scent using an eliminator so that it will not be smelled by the animals. One important tip, make sure to take note of where you left your trail cam, you don’t want to lose it! If you live in an area where it snows, get out immediately after the first snowfall. You will be able to see tracks of the animals and determine the directions they are heading. Follow the trails and you will find out the areas where they congregate. You can place your camera in these areas. Try to walk 15 minutes or more from any high human traffic areas like public roads or parks. A deer is more comfortable around less travelled areas. Find the food source. You can use natural ones or plant camouflaged feeders or food plots. You can use this to check out what animals are in the area. If you live in a hot area, follow the water source. Animals need water too and you can be sure that they thrive on areas with water to quench their thirst on a hot day. You can also mix and combine the areas. 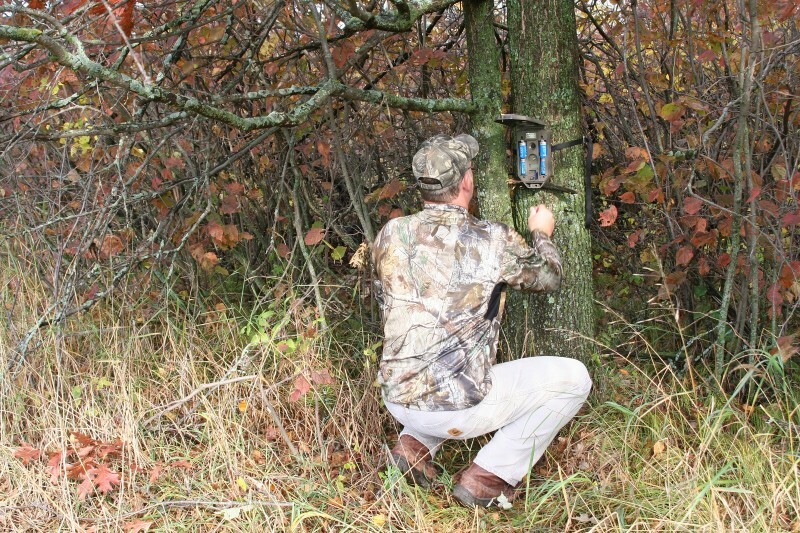 You can hang your game camera in an area where a trail converges to a food or water source. Place the camera above a deer’s eye level. They will most likely not recognize a trail camera, but they may run away if flashes hit their eyes. When you place it above, it is like imitating a lightning which the animals are used to so they will not be scared by it. Aside from all of these tips, always remember to take notes every after scouting. With this, you are able to do some improvements the next time you head out and set up your camera.